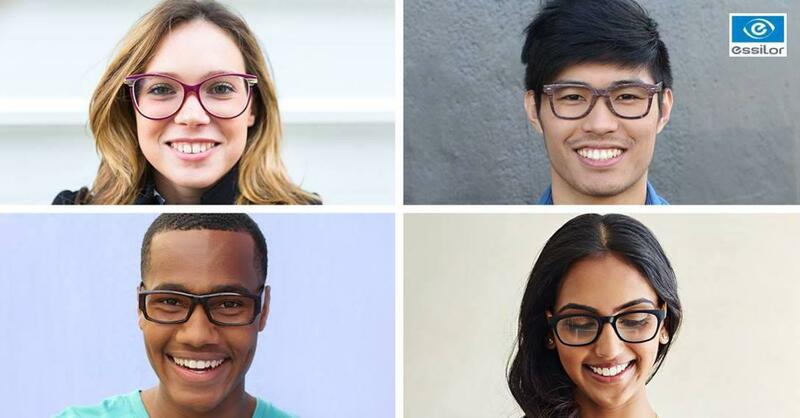 In addition to providing you with the most stylish frames, Lifetime Eyecare is passionate about bringing you the newest technology in lenses. Our doctors work closely with the opticians to create solutions for patients eyewear needs and we are now able to edge lenses here in our office to get you into your new lenses even faster than before! Our goal is to exceed your expectations for patient care and give you the best vision as possible through designing your new lenses around your lifestyle needs. In our lens design process, we use only the products that we have personally tested and thoroughly researched. Once lenses have been added into our lens formulary, we continually test them and revisit our options to ensure that we are offering the highest quality at the lowest price for our patients. Sometimes known as HD or “digital lenses,” The word “digital” in “digital lenses” refers the to the process of how these lenses are created. All of the lenses we use will be either back sided or double sided digital, as we believe the precision provided by digital surfacing enhances the users visual acuity and comfort. 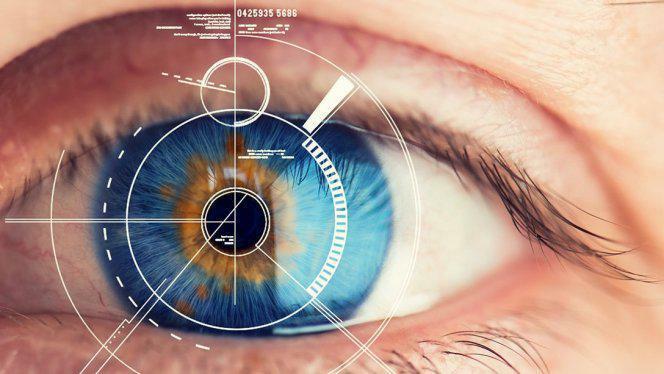 While digital lenses are a great option for single vision prescriptions (nearsighted or farsighted), they do even more for progressive lens wearers. Digital progressive lenses offer a 40% wider field of vision, and with an improved transition between reading and distance zones, they make it a lot easier to get used to progressives. Progressive lenses have slowly been becoming a staple of the eyewear industry since they were introduced in the 1950s. Since their invention, progressive lens technology has skyrocketed and so has the number of progressive lens options on the market. 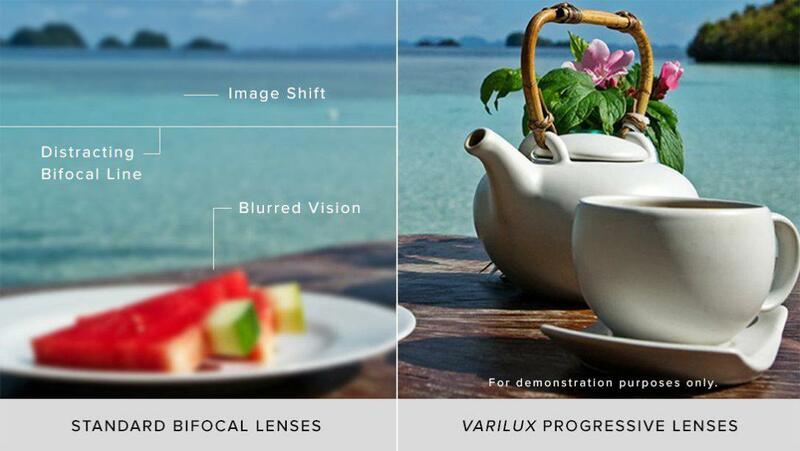 Every progressive lens has three basic areas of the lens: distance, intermediate (arm’s length) and near (reading). The three distances are blended together without a line creating seamless and natural vision from far to near. 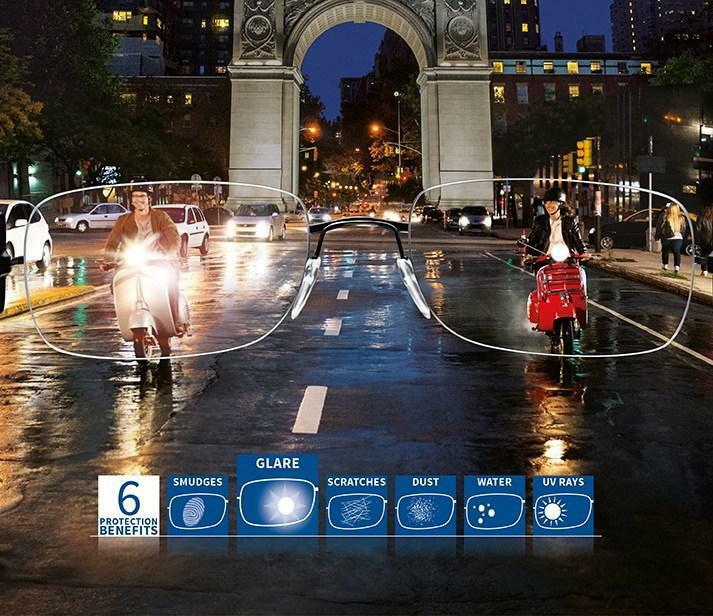 We use digital progressive lenses that have added benefits such as intermediate distance booster, protection from blue light emissions and a smooth transition from far to near. New progressive wearers also get some expert dispense counseling and take-home information to help them get used to seeing the world through their new lenses. No Glare lenses (also known as Anti-Reflective lenses) improve vision, reduce eye strain and makes the lenses look less obvious. These benefits are due to the ability of no glare lens to virtually eliminate reflections from the front and back surfaces of the lenses. With reflections gone, more light passes through the lenses to optimize visual acuity with fewer distractions (especially at night), and the lenses look nearly invisible — which enhances the appearance by drawing more attention to the wearer’s eyes and helping them make better “eye contact” with others. Blue light is part of the visible light spectrum, which comes from both the sun and artificial light sources like digital screens and fluorescent lights. This type of light gets absorbed deep in the eye, making it potentially harmful to long-term vision. We take our duty to protect your eyes very seriously, and this includes protecting our patients from overexposure to blue light. All of our lenses either have a built-in blue blocking shield or options to increase protection through adding in Transitions, Crizal Prevencia, Eyezen or other options. Please ask one of our opticians how you can make sure you’re protected! Book your appointment online today or give us a call at: 616-457-0760.